New. Series: Shambala dragon editions. Num Pages: 124 pages. BIC Classification: HRE; VXA. Category: (G) General (US: Trade). Dimension: 222 x 156 x 11. Weight in Grams: 270. 1987. Reissue. Paperback.....We ship daily from our Bookshop. New. Trade paperback (US). Glued binding. 169 p. Shambhala Dragon Editions. This book was recommended to me by an experienced and well-regarded meditation instructor in the San Francisco Bay Area. 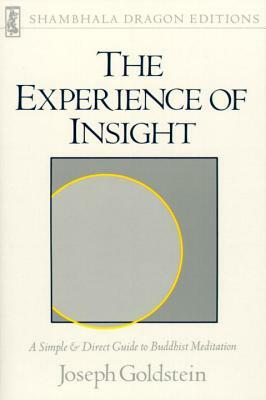 I found it to be very valuable as an introduction to the practice of insight meditation.